Cost to replace a window glass varies greatly by region (and even by zip code). Get free estimates from window installers in your city. Cost to replace a window glass varies greatly by region (and even by zip code). The average cost of replacing a window glass is $275-$650 per window. If you have issues with your existing windows, or if they have been around for more than 10 years, it might be time to consider getting them replaced. Window glass replacement can provide great benefits to homeowners such as lowering energy costs, reducing outside noise, UV protection, easy maintenance, enhancing curb appeal, and increasing home value. A professional glazier or glass technician should be hired in order to get the job done properly. Window glass replacement can become challenging when there are multiple windows to be replaced and different shaped windows. The average cost for glass replacement for one standard size 24” by 36” sliding, double-paned window averages from $275-$650 per window. Leaks: you may notice a puddle of water on the floor near your windows or water leaking from the windows. Even if it’s only a small leak, it is very important to replace the windows right away as it can leadto mold or other major issues in the future. Broken glass: whether there is a chip, hole, crack, or scratch in the glass, this is a problem that needs to be solved immediately. Condensation: if you see condensation or fog building up between your window panes, then this is a sign that your windows need replacement. This is an important sign that the window seals are no longer functioning properly and it is time to replace them before they start leaking. High energy bills: if you are experiencing high energy bills, then it might be time to replace your windows. Old windows can cause a draft which will increase your energy bills by 10-25%. Replacing these old windows with energy-efficient ones can help to eliminate this problem. There are many factors that will affect the cost of window glass replacement. One of the first factors is the size of the glass. You can expect to pay more when replacing the glass on a bow window that is much larger than the glass on a single pane window. Secondly, the number of panes, more panes means higher cost. The glass type is another important cost factor when considering window replacement. You can expect to pay less for laminated or glazed glass windows compared to low-e, triple, tempered, laminated, or argon-filled glass types. Upgrading existing glass to impact resistant, safety, tempered, or even energy efficient glass can increase the cost of the windows by about $14 per sq. foot. On the flip side, these upgrades can protect the windows from natural disasters and also help decrease energy loss up to 50%. If you need repairs to existing windows, this can add roughly $40 dollars extra to the project. If this is the case, it is a good idea to do it at the same time as window replacement, as sometimes companies offer this for free. In order to get ready for a window glass replacement project, there is some necessary prep work that needs to be completed. First, existing glass needs to be removed in order to replace it with the new glass. In some cases, a company that is installing the new windows will remove the old windows for you and dispose of them, free of charge. If this prep work is not included in the cost, you can expect to pay approximately $30-$40 per hour for window removal and a fee of $45 to remove the existing window, including the transport and dump fees. Take 3 horizontal measurements for the width. Measure the distance horizontally across the top of the frame, at the middle, and at the bottom. The largest of the 3 measurements is the one to go with for the width. Take 3 vertical measurements for the height. Measure the distance vertically across the frame on the left, middle and right side of the window. The largest of the 3 measurements is the one to go with for the height. Measure the depth of the window opening. Measure from the outside of the frame to the inside (from edge to edge of the window frame). Do this at least 5 times and use the largest measurement for the depth. Lastly, as part of the prep work, it is a good idea to clean the existing window frames. Mix a few drops of detergent with some warm water and, using a cloth, scrub the inside and outside of the frames. An alternative to using detergent is vinegar. There are four different types of windows that you will have to choose from. All of the types have a different number of window panes. Depending on the type of window, this will affect the glass replacement project steps and cost. Below are some of the most common types of windows and an average cost for window installation. A single window is also referred to as a basic window and has one standard, single pane of glass. A single window is one of the easiest to replace, as it typically runs in a standard size and is quickest for glass companies to put in the new glass. The average cost for one single window installation is $60-$75 including labor. A double window is quite similar to a single window; however, a double window has 2 glass panes. In a double window, the windows are typically thicker and provide better insulation. Double windows are a bit more time-consuming to install than single windows, which increases the cost of the project. The average cost for a double window installation is $95-$130 including labor. A bay window 1 is a large window that is composed of three glass panes. These windows are often seen in the front of a house. Bay windows take longer to install due to the window angles and often all of the panes may not be the same size. Due to the longer, more difficult installation process, bay window replacement is higher, ranging in cost from $200-$350 including labor fees. A bow window is a large window that is made up of 4-6 windows side-by-side. Bow windows are more difficult to install due to multiple pieces of glass that range in size. It takes longer for companies to install bow windows compared to the rest, tending to increase the cost. Bow window replacement averages $400-$500 including labor fees. There are many different types of glass for windows that must be considered in window glass replacement. Many of the different types are listed in the chart below, including the price and pros and cons of each. Acrylic offers better insulation than glass. For this reason, acrylic is often used for doors that lead to cold rooms or even skylights. Comparing the strength of regular glass to acrylic, you can conclude that acrylic is many times stronger. When acrylic panes are broken, they break into large pieces, in contrast with glass which shatters into tiny pieces. Glass is harder to scratch compared with acrylic. Acrylic can, however, be coated with a special coating to help protect it. 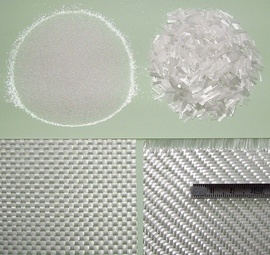 Acrylic allows UV light to pass through compared with regular glass which does not. There is the option of a UV filter for acrylic. Acrylic offers up to 95% of light transmittance, whereas glass has about 85% light transmission. Acrylic is typically cheaper to manufacture than glass. You can expect to pay $30-$50 per panel for acrylic, whereas glass is $60-$75 per panel on the low end of the price spectrum. Window glass replacement labor adds approximately $85-$150 per window to the total cost of the project. 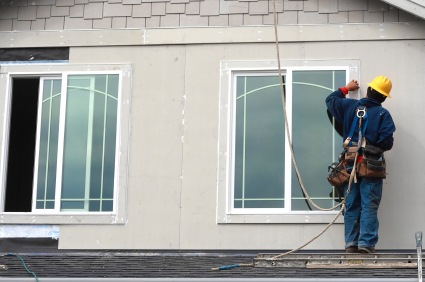 The labor typically involves removing the existing window, installing the new window, and then sealing it in place. Labor costs typically range from $35-$65 per hour. This cost involves the removal of the old glass and window fitting. It takes approximately 30 minutes to 1 hour in total to install one window. A person who replaces window glass is often referred to as a glazier or a glass technician. The process of window glass replacement starts with the removal of the old glass. Once the glass is removed, he/she will clean the area around on the window frame, removing any debris or old putty. The new glass can then be put into the existing frame and putty is applied around the edges to keep it in place. The putty is then left to dry and can either be painted or covered once dry. Window frames play an important role in the structural support of your windows while also helping to reduce heating and cooling costs. It is very important to keep them free of cracks and gaps in order to properly perform their role. For broken window frames that are wooden, you can expect to pay $180-$380 in repair costs including labor ($130). If your window frames are vinyl 2 or fiberglass 3, repair costs range from $500-$600. For broken aluminum window frames, you can expect to pay $480 including labor costs ($130). Glass replacement companies understand the importance of having functional windows in place. In the case of a break in or an emergency when glass needs to be replaced right away, there are specialists to call that work 24-hours providing emergency glass repair . Emergency repair technicians can most likely come out immediately to repair the problem, but this service is at an additional cost. Expect to pay between $120-$150 per hour for emergency glass replacement services. Window glass tinting can be a very smart investment for homeowners. Window tinting provides many benefits such as lowering energy bills, reducing window glare, improving privacy and safety, and reducing UV exposure in the home. Glass tinting can increase the cost by roughly $7-$9 per sq.ft. If you are enhancing your home with new window glass, then it is a great idea to also enhance the look of the window frames. A little paint job can do wonders; making them look brand new. The average cost to have your window frames painted is $20-$35 per window. 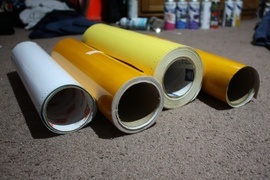 This cost includes the painting materials and labor fees. Something to keep in mind when replacing window glass is upgrading to energy efficient windows. Choosing an energy efficient option can be very beneficial to you. Energy efficient windows help to reduce energy costs by more than 30%, helping to lower your monthly energy bills. Although they might be on the pricier side, they are a great investment and will help you save money in the long run. Having strong and efficient windows is very important for any home. Experts recommend that windows are checked yearly for any visible leaks, damage, cracks, or water-softened wood. Although window glass replacement could be a DIY project, it is best to opt for professional installation for the best results. Although replacing window glass may sound easy, you may experience some issues with fitting the frame properly, issues such as mold and condensation, or even issues with building codes. Hiring a professional company for window glass replacement eliminates the headache of dealing with these issues on your own, and also often offers a great warranty for anything that may go wrong. If you do take on window glass replacement as a DIY project then here are some tips: first, check the labels for energy efficiency. Each piece of glass will have different ratings. Second, make sure to get the exact fit for your windows so that they will function properly. Third, don’t be afraid to ask for help. Have someone give you a hand to make sure everything runs smoothly. Most window companies offer a great warranty on the glass part of the window. Most warranties range between 10 and 20 years. This warranty usually does not include damage due to nature. Always ask the warranty before you select the company. Similar to window glass replacement, door glass replacement is another project that may need to be completed to keep your doors working efficiently. Glass replacement for doors ranges in price from $200-$800 depending on the size of the door, type of glass, and type of window. Sometimes it may be a better option to replace the whole door rather than just the glass, as it is usually quite similar in price. Make sure to ask the company if they have any discounts available. Many companies offer discounts if you decide to replace all of the windows in your house compared to just a few. If you are in need of door glass replacement as well, this may be the time to do so. In many cases, the more windows you replace, the better discount you will receive. How much does it cost to replace glass in a window? The average cost to replace glass in a window ranges from $275-$650 per window. The type of window and the size of the window will affect the final cost. Can you replace just the glass in a window? Yes, you can replace just the glass in a window. The current window frame can be kept in place. How much does it cost to replace the glass in a double-glazed window? The average cost to replace the glass in a double-glazed window is from $300-$350. This includes the cost of labor. How much does it cost to replace a side window? The average cost to replace a side window of a window pane ranges between $175-$300 per window. How much does it cost to replace a window glass in my city? Cost to replace a window glass varies greatly by region (and even by zip code). To get free estimates from local contractors, please indicate yours. First, a summary stating the price was added and all sections were replaced with more detailed ones, including information on the reasons to replace a window glass and the main cost considerations. There is now one section explaining the steps preceding the replacement of a window glass, such as removing the old window and taking measurements. The section “Type of window” has different subsections: single window, double window, bay window, and bow window. here is also a comparison between regular and unbreakable plastic glass, focusing on aspects like insulation, strength, UV light, and cost. There is also a section dedicated to enhancement and improvement costs and another that provides useful information about some additional considerations and costs, such as the warranty some companies offer and the possibility to carry out a DIY project. Finally, all prices were updated, and a picture and a “FAQ” section were added.